To get all the weather updates and weather forecasts visit Urdu Point. weather news of all cities which include weather forecast Murree , weather forecast Karachi, weather forecast Islamabad, weather forecast Quetta and weather update Gujranwala. People of Lahore who want to know Lahore weather live, Lahore weather forecast 30 days, Lahore weather 14 days, Lahore weather 10 days, Lahore weather today and Lahore weather now than they should visit Urdu Point. Weather news about weather update Lahore, weather updates Gujranwala and weather update Murree is available. If you want to get latest weather news about any city or country go for Urdu Point. Weather news about Naran weather and Murree weather is also available. 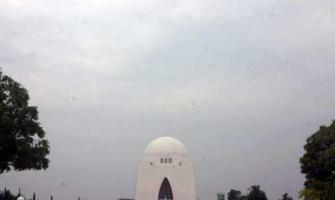 Weather news about Weather of Multan and weather of Quetta can be read here. International weather news and Pakistan weather news are so different. You can get all weather updates about Pakistan weather and international weather on Urdu Point. Weather of Pakistan is favorable for everyone. For all the weather updates and weather news, go for Urdu Point. People search for Lahore weather today, Lahore weather live, and weather update Lahore. Urdu Point gives weather news about international weather, weather of Pakistan, Lahore weather, Murree weather, Rawalpindi weather, Multan weather, Faisalabad weather and Peshawar weather. Weather news is very important. We depend on weather conditions so we must have a view on weather news. On Urdu Point we also provide you rain forecast and snow forecast. People search weather news on BBC weather. But on Urdu Point you can get all types of weather updates. Weather news about international weather and Pakistan weather found here. Pakistani people like the weather of Naran, weather of Kashmir, weather of Murree and weather of abbotabad. To remain update from the weather news of your favorite cities visit Urdu Point. Today weather updates, weather forecast for 30 days, daily weather forecast and weather news are available here. For all the weather forecast and weather news visit this web page. Urdu Point gives you news about weather of Pakistan, Lahore weather, Islamabad weather, Murree weather and Karachi weather. 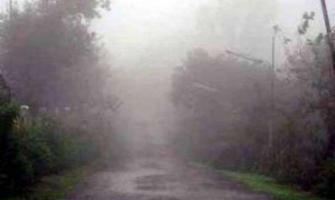 Weather updates about Rain forecast, snow forecast and fog forecast is also available. Now you can get weather news about any city. We provide you the weather news about international weather, Pakistan weather, and also about China weather. All the weather updates about the cities like Lahore weather, Karachi weather, Islamabad weather and Abbotabad weather can be searched here. Urdu Point provides you an easy access to all kind of weather news and weather updates.